Are you buying a new projector? 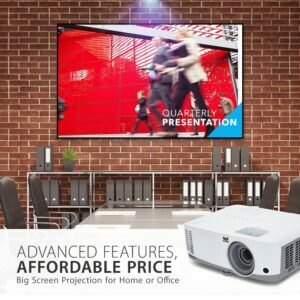 Are you aware of all the fact that you need to consider while purchasing a projector? We guess you are here to get assistance from us to buy your ideal model. So to help you out in the process we have created a comprehensive guide where we have covered all the aspects you need to take into considerations. 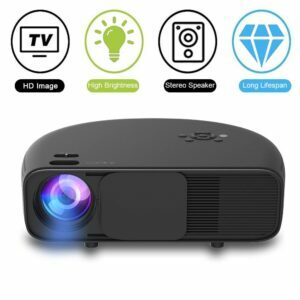 Whether you want to get the best 4K projector or a cheap movie projector for home or best gaming projector, this article will guide you in every way possible. Whereas if are planning to put out the projector in office or classroom for presentation purpose, then you will incur the need a data projector that will offer high-resolution data images. However, if you require a projector which you can take wherever you travel, then there is nothing better than getting a Pico projector. Projection technology plays a crucial role in deciding the output quality of the projector, and primarily there is three type of technology mostly used in all projectors. The first one is 3-chip DLP technology that offers sharp images, fast response, good 3D capability and colossal longevity. However, it often shows a color ghosting issue during projection. 3 LCD projection, on the other hand, is slightly expensive than DLP but it tenders better color accuracy, high clarity, low noise and high amount of brightness. This type of projection is most suitable for home entertainment but they need frequent maintenance, and the lifespan is low. LED projection is quite a conventional technology that is mostly utilized by budget models like 100 dollar projectors or star projectors. However, they project hood color quality and decent contrast level. They get a lifespan of over 20000 hours, and it doesn’t require any sort of maintenance. Moreover, they generate less amount of heat than others. But it lacks in brightness and image clarity when compared with LCD or DLP. When you are buying a projector especially an outdoor projector, you should look at the number which depicts the brightness level. More the lumens the better will be the vividness in the frames and on an average 2000 lumens serves as the primary benchmark. It would be ideal to go for something between 2500-3500 lumens so you won’t have to worry about ambient light in your room. However, if you are getting an outdoor model or business model, then 3000 lumens serves as the baseline, but you can also go for 2500 lumens if there is a budget constraint. Contrast ratio differentiates between the dark and light part of a screen, and a high contrast ratio allows you to getter a better clarity. It brings out an excellent depth and detail in a picture, and that is why you should pay attention to the contrast ratio. 10000:1 contrast ratio projector should be your aim, and if possible you can go beyond 50000:1 contrast as it will provide a significant boost to the clarity. However, contrast ratio plays a trivial role in the image quality of a business projector as contrast ratio gets reduced in the presence of ambient light. But still a native 1080p projector with 100000:1 will yield an incredible piece of frame. What determines the quality of an image in a projector? 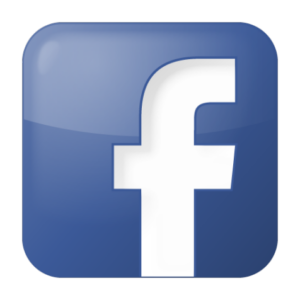 It is its resolution because with the number of dots the quality of an image increases. 1920 X 1080 resolution serves as the most prominent resolution for getting the best out of a video source, and most of the best projectors come with native 1080p resolution. However, 1280 X 800 or 720p resolution also provides an incredible quality, and they are now most common in home theatre and Pico projectors. However, for data projectors, 480p will also do fine, but it is recommended you should try to 720p resolution which gives away high-quality data image. People often overlook the aspect ratio option in their projector, but it serves as one of the crucial considerations. The most common aspect ratio options for projectors are 4:3, 16:9 and 16:10. If your target is a home theatre or Pico projector then you should go for a model with native 16:9 or 16:10 aspect ratio because it offers better cinematic representation. You should try to get a projector with ample options for aspect ratio. Although if a data projector is your priority then get models with standard 4:3 native aspect ratio but you can also go for 16:9. Whether you are getting a cheap projector or Full HD LCD projector, you shouldn’t miss the color output of that projector. You should check the color accuracy or sRGB coverage of the projector and as an essential requirement, it should above 90%. Better color accuracy percentage will depict a high color production in the images. In addition, you should look into the color technology used in the projector as it also plays a vital role in the color output. The throw ratio of a projector determines how far you have to place a projector to get an appropriate image. Throw ratio varies from model to model, and if you don’t have any space constraint, then standard throw ratio would be enough. However, if you have a small office space or a tiny apartment, then you should either go for a short throw projector or ultra-short throw projector. It is vital that you should calculate the area of installation before buying because it will help you to choose the throw ratio accordingly. The type of setup should be your concern when you are out to get your projector. Most of the models come with either ceiling mount, table top and rear end projector and these are entirely suitable for everyone. However, there are some models which might not get all these three options so try to check the installation facts before purchasing. Make sure the projector you are targeting should carry all the required inputs. You should check whether it is coming with HDMI, USB, VGA, DVI, Audio 3.5mm, composite, S-Video etc. Nowadays HDMI and USB are the most basic input options, and it allows you to run all kind of external devices. However, if you have a slightly old PC, then you will require DVI or VGA port. Similarly, for hooking old machines, you will need S-Video or composite port. So you should straighten out your requirement before purchasing. Nowadays, some models also provide MHL, Micro USB, RS232, Wi-Fi, Bluetooth and wireless dongle support. The MHL and wireless dongle easily allow you to stream videos from your phone so if this is the requirement, then you should choose the model accordingly. Keystone correction, lens shift, lens zoom, etc. 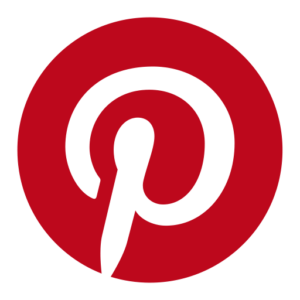 are some critical tuning option you will require during the setup process. During installation it is not always possible to get the ideal shape, so you will need a keystone correction to adjust the shape. You should not go for a model that offers keystone correction below +/- 15-degree as you won’t get a satisfactory result below that range. However, not all models come with a lens shift feature which assists you to adjust the angle lens mechanically, and it retains 100% of the resolution. So if you want to enjoy full resolution and doesn’t have any budget restriction, then you should go for models with lens shift. Otherwise, you will always have the option for keystone correction. Lastly, you should also consider lens zoom especially if you are going for Pico or outdoor projector. In different, you won’t have total control in the placement of the projector so you will require lens zoom to enlarge the image when needed. The ideal zoom is 2.0x although you can also go for a model with minimum 1.2x zoom capability. Always check the build quality and going through reviews is a smart way to know about the built quality of a specific model. You should avoid models having poor plastic made material because they tend to break down after some months. Every projector oozes a right amount of heat while it is running, so the manufacturers incorporate a cooling system in the body. So you should check the cooling system and make sure the number is not more than 60-degree centigrade. If you love watching 3D movies, then you should put it in your consideration although the price considerably increases with this feature. Similarly, you can also go for HDR capability in your home theatre projector as it enhances the picture quality by large margin. Other than these, you should make sure that it carries all the required accessories like ceiling mount, screws, universal remote and warranty protection.